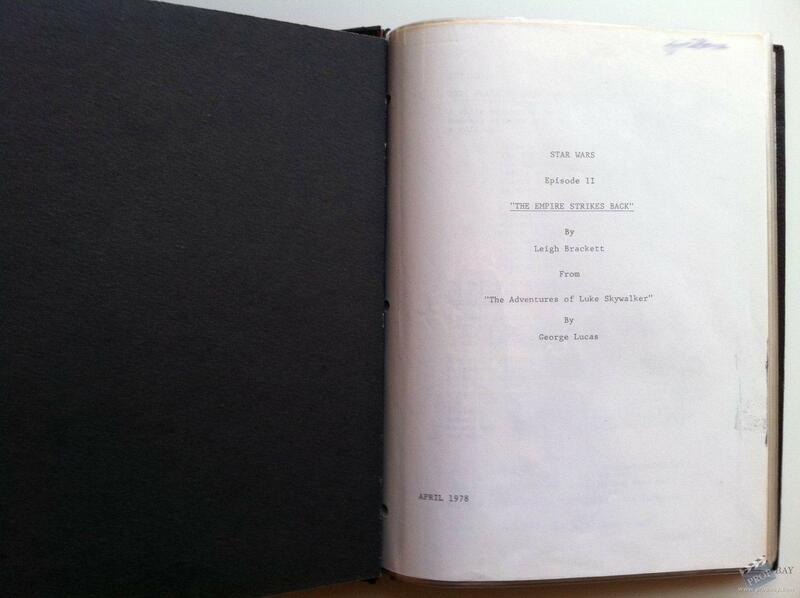 As many may know, after Leigh Brackett ended the first draft, died, and George Lucas had to do the revisions before he met Lawrence Kasdan. 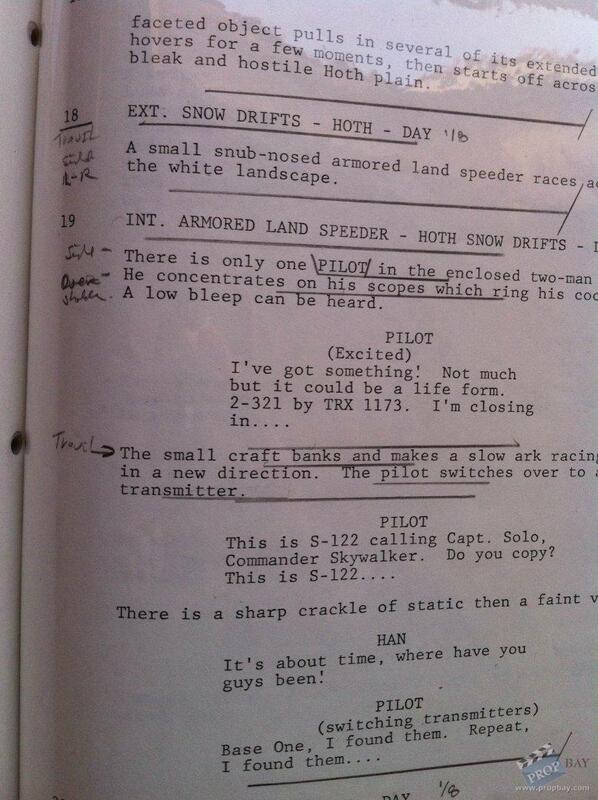 In only one month of April 1978, George Lucas, did the second draft, the revised second draft and the third draft. 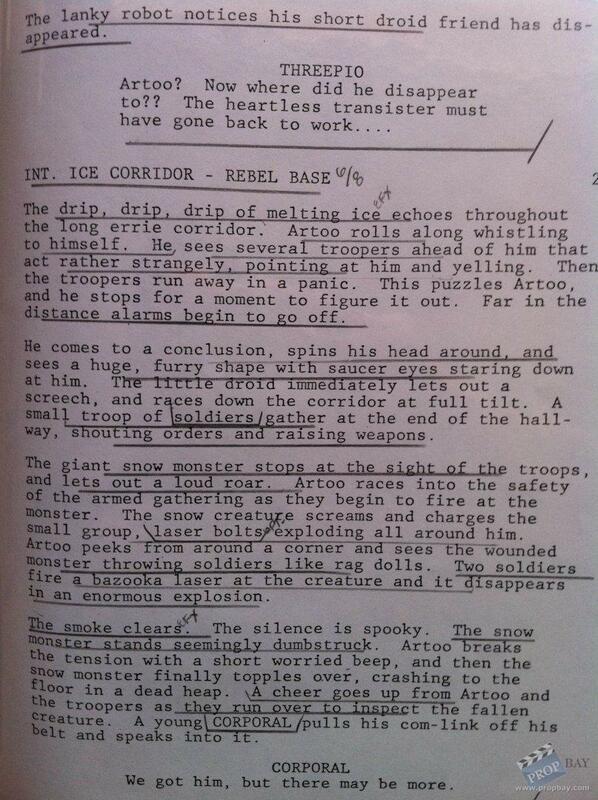 This is a partial second draft, the beginning of the movie, and ends in page 24, last page with only a reference of the scenes to come. Well, as I have been told by the owner and author of the breakdown notes, these pages were given to him by Lucas, without this second draft being totally finished, so he could start working on its breakdown as soon as possible. 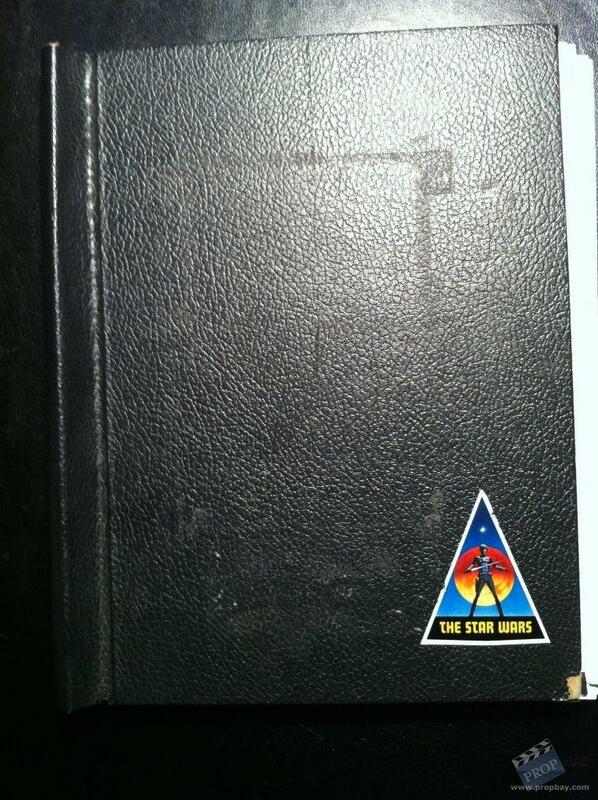 Only the beginning had been written, so without further scenes written, having a list of scenes to come in page 24, gave him an idea of what was to written. 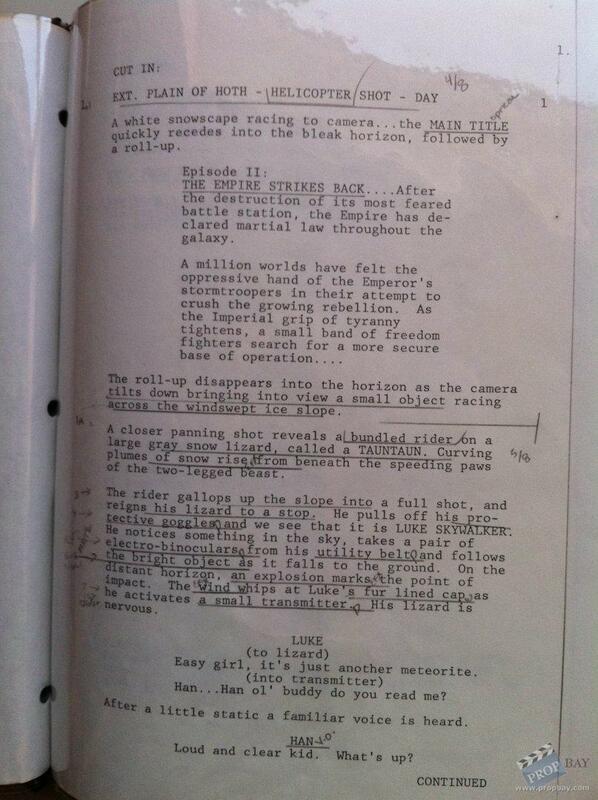 A curious thing is while the title page of a complete second draft of Empire Strikes Back says "Episode V", this mine, which is prior to the completion of the second draft, says "Episode II". 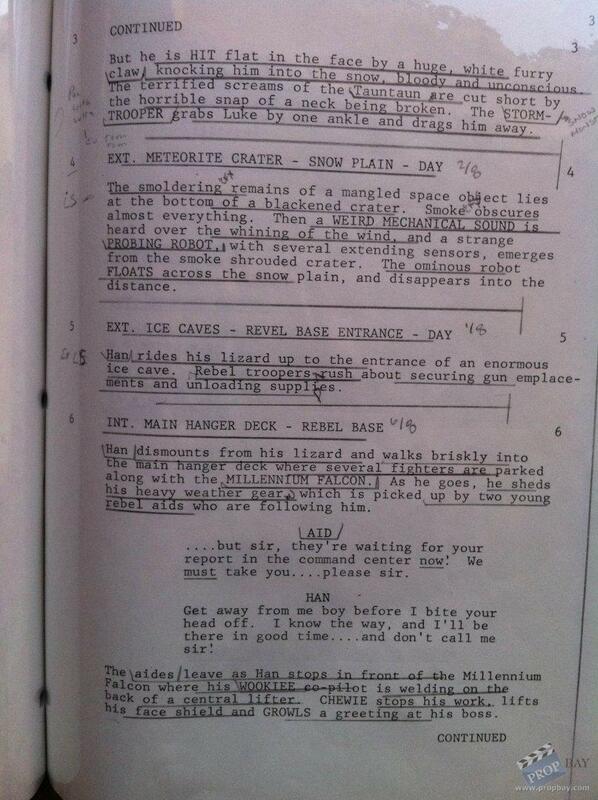 So that proves George Lucas changed the number of the episode in a certain moment while typing the second draft. Added: 05-08-2012 - Viewed: 1938 times.